Add color, vibrancy and style to your home when you select from Petals' exquisite collection of silk plants and silk flowers online. 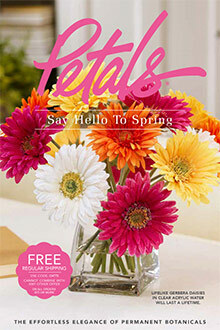 Enter the Offer Code - CAT75A - at checkout on the Petals website. Limit one per customer, good on merchandise only, can not be used in conjunction with other offers.